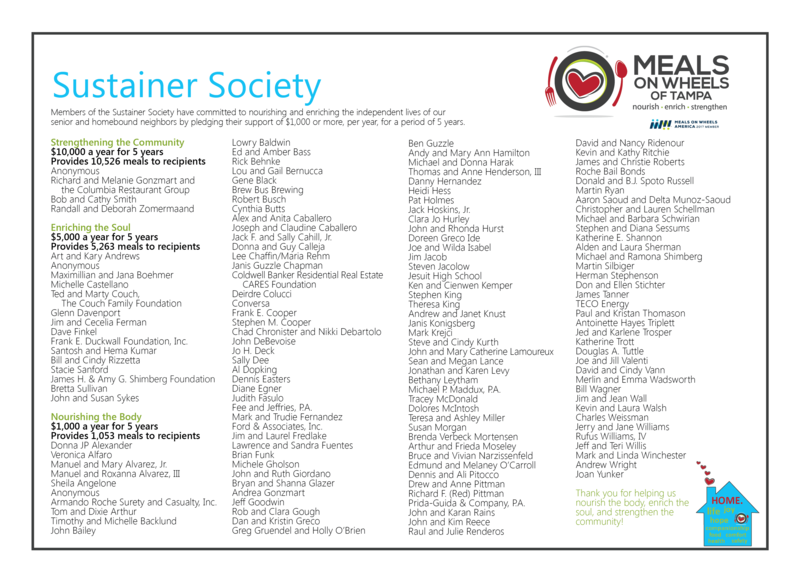 We are sincerely grateful to the generous donors listed below who are members of the Nourish the Homebound Sustainer Society. 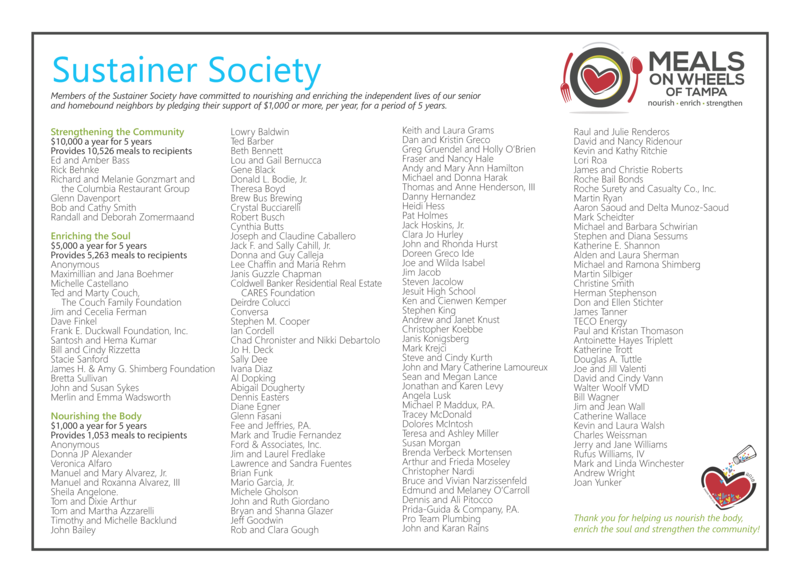 Sustainer Society members have committed to “Nourishing and Enriching the Independent Lives of Homebound and Seniors” by pledging their support of $1,000 or more per year, for a period of five years. If you are interested in joining the Nourish the Homebound Sustainer Society or are looking for more information, please contact Kristin at k.maximo@mowtampa.org, call (813) 238-8410, or submit a contact form by clicking here.